Civil Enforcement of Canada’s Foreign Corruption Law? A guest post by Graeme Hamilton and Omar Madhany (both with Borden Ladner Gervais LLP in Toronto). Perhaps the starkest difference between the Foreign Corrupt Practices Act and Canada’s foreign corruption law—the Corruption of Foreign Public Officials Act (CFPOA)—is the fact that the CFPOA may only be enforced criminally. As a result, enforcement authorities in Canada are held to the higher criminal standard of proof beyond a reasonable doubt when negotiating with a company to resolve a CFPOA investigation or contemplating whether to bring CFPOA charges. The lack of a civil enforcement mechanism for the CFPOA is often cited as one of the main reasons for the disparity between the volume of foreign corruption enforcement activity in the U.S. and Canada. A recent settlement announced by the Ontario Securities Commission (OSC) with Katanga Mining Ltd. (Katanga), however, may signal the beginning of a shift in this landscape by establishing a role for Canada’s securities regulators in tackling foreign corruption from a civil context. Scrutiny alerts and updates, ripples, difficult business conditions, resource alerts, and for the reading stack. It’s all here in the Friday roundup. “Wal-Mart Stores Inc. is butting heads with the U.S. government over how to wrap up a long-running foreign corruption investigation. Officials have proposed that the world’s biggest retailer pay at least $600 million to resolve probes by the Justice Department and the Securities and Exchange Commission into whether it bribed government officials in markets from Mexico to India and China, according to three people familiar with the matter. The retailer has rebuffed the government’s request, two of them said. Last week, the DOJ and SEC announced (here and here) a Foreign Corrupt Practices Act enforcement action against Och-Ziff Capital Management Group (and a related entity) for improper business practices in various African countries. The aggregate settlement amount was $412 million (a $213 million DOJ criminal penalty and a $199 million SEC resolution consisting of disgorgement and prejudgment interest), the 4th largest FCPA settlement amount of all-time. As highlighted in this previous post, the SEC also found Daniel Och (CEO) and Joel Frank (CFO) culpable for certain of the improper conduct. As indicated in the post, this represents what is believed to be the first time in FCPA history that the SEC also found the current CEO and CFO of the issuer company liable, to some extent, for company FCPA violations. Moreover, the $2.2 million Och agreed to pay, without admitting or denying the SEC’s findings, is the largest settlement amount in FCPA history by an individual in an SEC action. 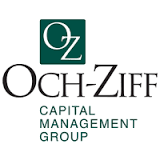 Whether the Och-Ziff enforcement action is the “first time a hedge fund has been held to account for violating the FCPA” (as the DOJ stated in its release) is a debatable point. (See here for the 2007 FCPA enforcement action on the DOJ’s FCPA website against hedge fund Omega Advisors).